Unlike Western theistic religions, Eastern spirituality does not separate humans from nature. Both the Tao of ancient China and the Dharma of ancient India refer to life lived in harmony with the way of nature and the order of the universe. The Sanskrit term Dharma signifies the underlying order in nature, and a way of life that is considered to be in accord with that order. The word dharma literally translates as 'that which upholds or supports,' referring to the order upon which the harmonious complexity of the natural world and the cosmos depend. As in the West, the concept of natural or divine law has throughout the history of Indian civilization governed ideas about the proper conduct of living. 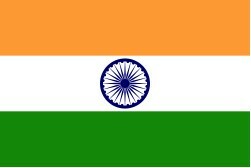 The symbol of the Dharma - the wheel - is the central motif in the national flag of India. In its most frequent usage, in the sphere of morality and ethics, dharma means 'right way of living', 'proper conduct', 'duty,' 'righteousness,' or ‘virtue.’ Spiritually speaking, dharma could be considered the Way of the Higher Truths. What is called religion in the West falls within the scope of dharma in India. Thus the various Indian religions are all versions of Dharma — versions of what is considered to be 'right' or in truest accord with the deepest realities of nature. Each of the various Indian religions emphasize Dharma as the correct understanding of Nature in their teachings. In these traditions, beings that live in accordance with Dharma proceed more quickly toward personal liberation. Dharma also refers to the teachings and doctrines of the founders of these traditions, such as those of Gautama Buddha and Mahavira. In traditional Hindu society Dharma constituted the religious and moral doctrine of the rights and duties of each individual. Dharma in its universal meaning shares much in common with the way of Tao or Taoism. The antonym of dharma is adharma, meaning unnatural or immoral. The idea of dharma as appropriate action or righteousness emerged when the concept of a universal order was reached within early vedic culture. In the Rig veda the belief or perception that a natural justice and harmony pervades the natural world was expressed in the concept of rta. Rta is both 'nature's way' and the order implicit in nature. Thus rta bears a resemblance to the ancient Chinese concept of tao and the Heraclitan or stoic conception of the logos. 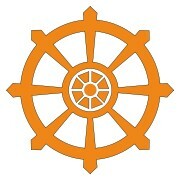 For more on the religions that have evolved from the basic concept of Dharma, see the Wikipedia page on Dharma.